I don't know code! Do you have website builders? Yes, we have site builder options for you. Our most popular options are WordPress and Weebly. WordPress is a content management system that you can also use to design and build your own website. There are hundreds of free and paid themes, as well as plugins and other features. WordPress is best for bloggers, or people who are going to be making frequent updates to their website long-term. Can I leave my WordPress site unattended? You can install WordPress on your site from your cPanel, in the Software section. Click "Softaculous Apps Installer". 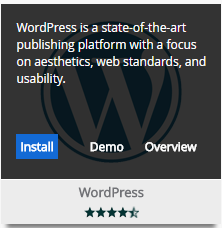 Hover over the WordPress icon and click "Install". Fill out the information for your new WordPress site, choose a theme, and at the bottom, click "Install". Your WordPress site should show a running log of the installation, and once it's installed, you can start using WordPress to design and build your website. Weebly is a drag-n-drop site builder. There are preset themes that you can modify and edit to your liking. We have a free Weebly plan, and three paid Weebly plans that will give you more features and options, depending on the plan. To start using Weebly with your site, you'll need to order it from the client area (even the free one). 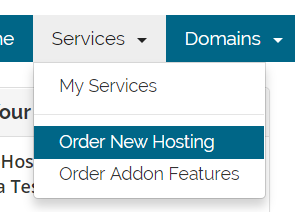 In your client area, either click the blue button in the Weebly panel, or go to Services > Order New Hosting. 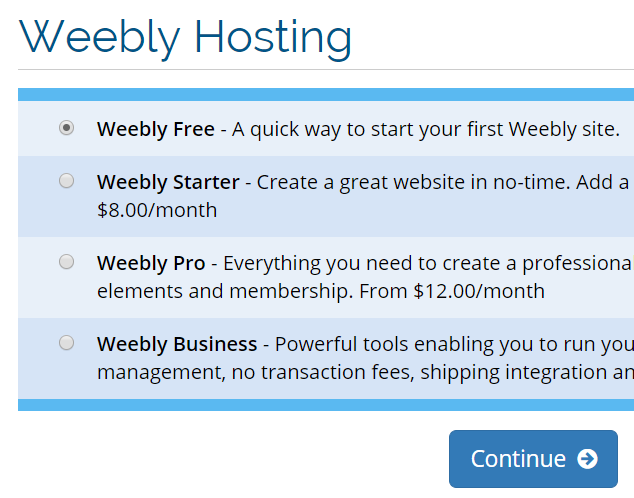 At the top, select "Weebly Hosting". Select the Weebly plan you want and click Continue. Make sure you type in the domain you want to use Weebly for at the bottom, then click "Continue". Complete the order form with payment information (if necessary) and agree to our terms, and then wait for an email confirming that your order was accepted and you can start using Weebly to build your site! Where do I go to edit my Weebly site?